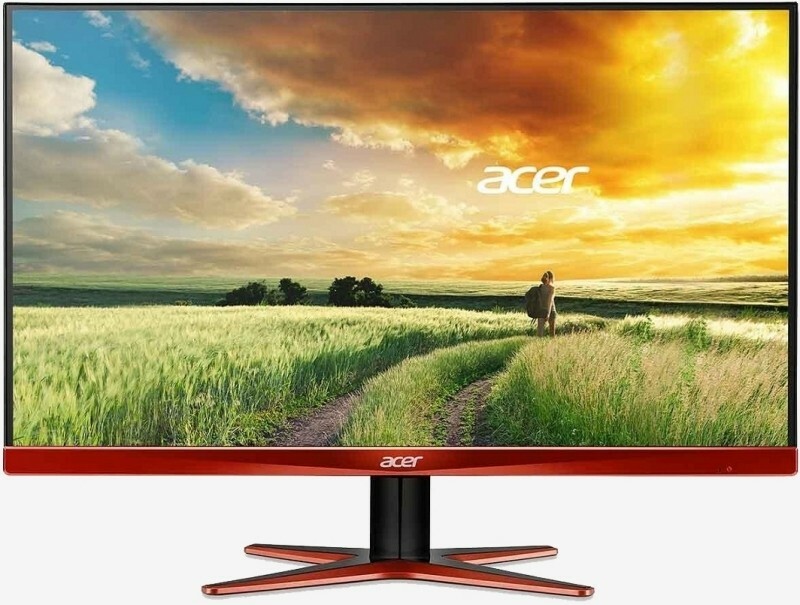 Acer announced two new gaming-grade 27-inch monitors at the Consumer Electronics Show last month. The XB270HU garnered the most media attention thanks to its IPS panel and Nvidia G-Sync technology. What Acer neglected to mention at the time, however, was that the other monitor – the XG270HU – would support AMD’s FreeSync technology. For those not up to speed, FreeSync is AMD’s non-proprietary alternative to Nvidia’s G-Sync. Both methods allow the monitor’s refresh rate to sync up with the GPU’s render rate which eliminates screen tearing and lag when playing below the native refresh rate. Whereas Nvidia’s solution requires a special processing chip to be added to the monitor, AMD’s technology uses adaptive sync which was recently added to the VESA-standard DisplayPort 1.2a specification. FreeSync is also cheaper to implement although thus far, there are far more G-Sync monitors on the market than those that support FreeSync. Getting back on topic, the XG270HU is also a 27-inch model with a maximum resolution of 2,560 x 1,440, 1ms response time and a 144MHz refresh rate. It features two HDMI 2.0 ports, a DVI port, a DisplayPort 1.2 connection and dual 2W speakers. Aside from sync technology differences, the XG270HU doesn’t use an IPS panel which makes it a little less desirable. Acer didn’t specify what type of panel it uses which likely means a TN. The XG270HU is expected to go on sale sometime next month. Acer has yet to reveal how much it’ll retail for.